The Los Angeles Fire and Police Pension System provides health and retirement benefits to more than 25,000 men and women in blue, who spend their careers and risk their lives protecting the City of Los Angeles. 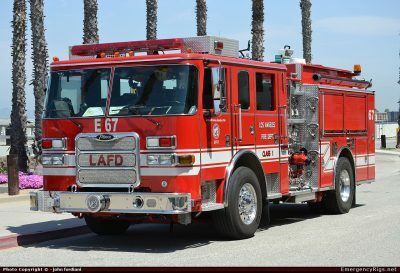 Over the next three years, CPAS, A Xerox Company, will work with Los Angeles Fire and Police Pensions to streamline and improve its administration and record keeping operations, helping the city deliver more efficient member and retiree services. With CPAS technology, police and fire retirees and members will have instant access to benefit statements, estimates, balances and payment information, with online access to documents, forms, and other vital communications. CPAS provides a single, comprehensive solution for defined benefit, defined contribution, and retirement savings plans as well as health, welfare, and group life insurance premiums. Xerox currently employs nearly 5,000 people in California. In addition to providing pension technology to serve Los Angeles Fire and Police Pensions’ 25,000 retirees and members, Xerox Public Sector Solutions provides statewide Electronic Benefit Transfer (EBT) services for California’s Department of Social Services, operates parking and transportation management programs in Los Angeles and San Francisco, and manages the call center for California’s Lifeline program and California Child Support State Disbursement Unit, among others. Image Source is your California provider of office technology and business process outsourcing since 1984. 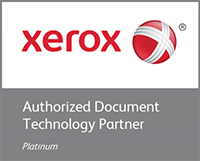 As Xerox Corporation’s largest independent Agent-Dealer, an HP OPS Elite Dealer and a 3D Systems Elite Partner we are proud to say we have become the largest vendor in California for K-16 and hospital placements. Since 2011, image Source has donated over 7% of our bottom line profits to various community programs, and is an environmentally sustainable partner for our customers. In addition, we practice financial stewardship by controlling print consumption. With nine locations in California and Lean Sigma Black Belt Service program management we are undoubtedly a community leader and look forward to partnering with you to fulfill your businesses vision, serving your team in the future. Our Mission: At image Source, we are Transforming Business one customer at a time. Our vision is to make a difference and create value in our services; to develop long-term relationships with our customers. By providing leading solutions that give our customers a competitive edge, we are able to put them at the forefront of the ever-changing world of technology.